Feet certainly do perform the task of being a foundation for every move humans make. However, feet have about 25 bones in total, so it likes the freedom to move around. This movement simply cannot happen during exercise motions, and especially not during a squat. Any small amount of movement in the foundation can lead to a fall, which leads to injury. If it does not lead to a fall, then it can lead to something else shifting, like a knee, and tearing tendons or muscles. Therefore, feet need to provide a neutral arch to achieve a sturdy foundation. Many shoes can perform this task, but some shoes are better at doing so than others. For most people who are into cardio workouts or who like to run marathons, they need a solid running shoe. However, these shoes should not be used outside of these means. In short, they do not make good weight lifting shoes. 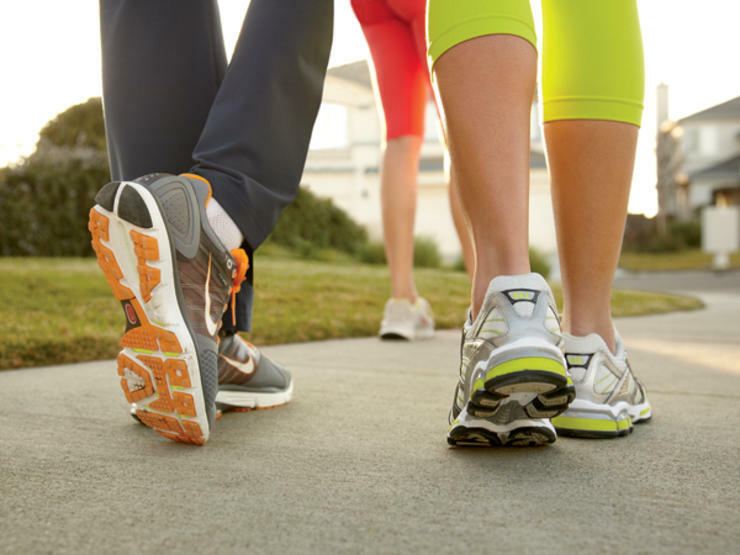 The soles of running shoes are softer and compress more easily to help absorb shock while running. This situation can be dangerous to weight lifters because it means they perform squats on two marshmallows. 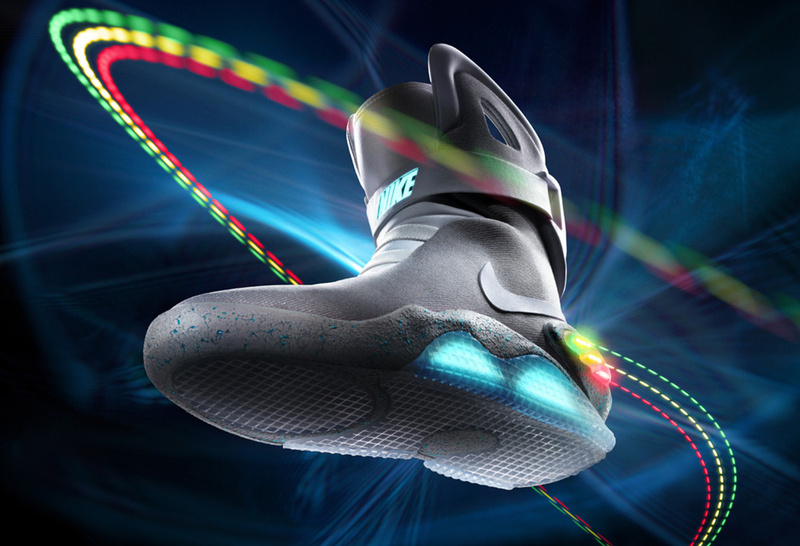 Therefore, gel and air based insoles are out of the question for weight lifting. 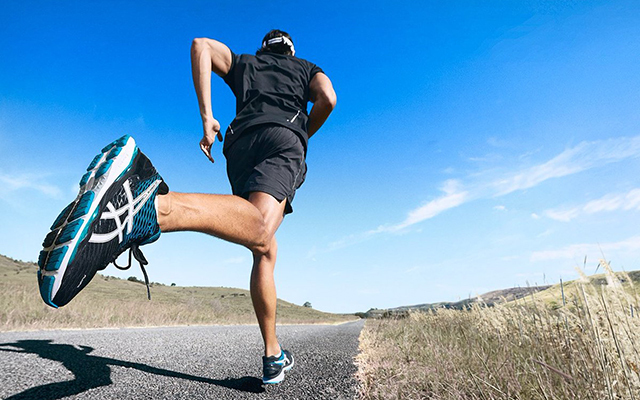 Running shoes lower the chance of a study connection of feet to the floor, which means it will not achieve the neutral arch formation needed for a stable foundation. Yes, there is a specific type of shoe made just for weight lifting, hence the name of these shoes. 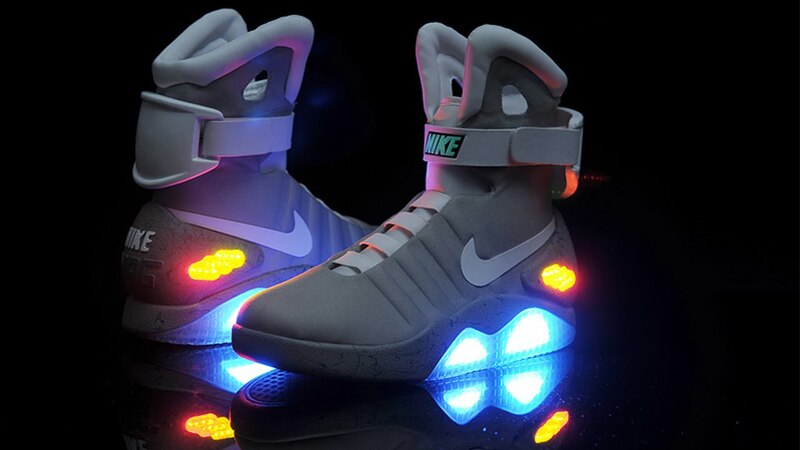 People who partake in weightlifting as a sport are more likely to wear these shoes. This statement is especially supported by the International Weightlifting Federation deems them perfect for providing a stable surface with a firm sole. People who do various types of exercise other than squats at the gym will not want these shoes as an all-around gym shoe, though. They are extremely sturdy and even have a raised heel made from wood or plastic. This heel raises at least 2.5 cm off the ground, which can be difficult to handle while doing other types of exercise. Hence, many gym goers are not familiar with this shoe since competitive weightlifters mostly wear it. These shoes do offer a few benefits, though. 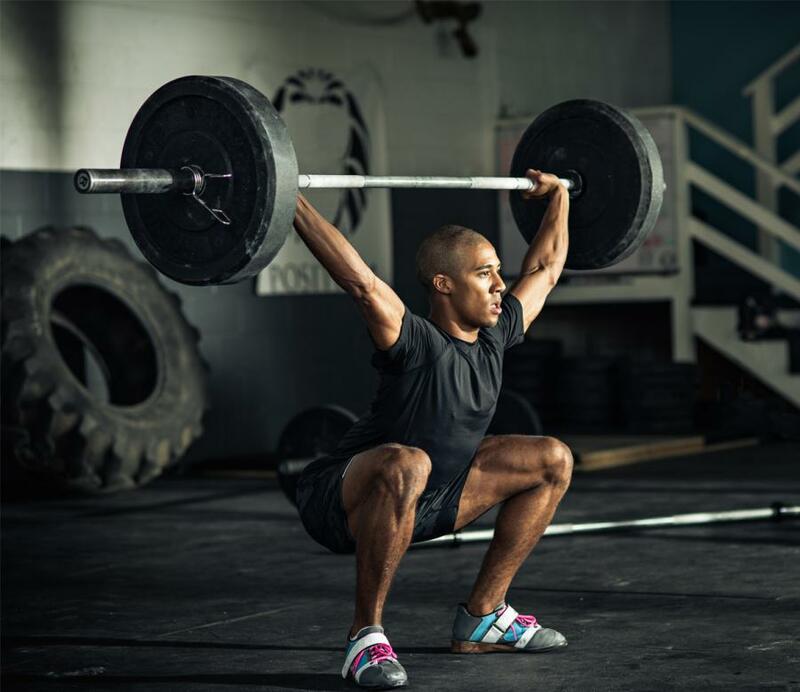 First and foremost, the raised heel allows weightlifters the chance to move deeper into squats. This stance also happens while maintaining an upright chest position. At the same time, the knees can move closer to the top of the foot. Not only does this move make squatting easier on the knees, but it also makes it a lot easier on the lower back. Since the chest remains straight during squats, the back does not overextend under the added weight. For people who have a prolonged history of lower back pain, they should consider weightlifting shoes during squats to make sure they do not exacerbate the source of pain. 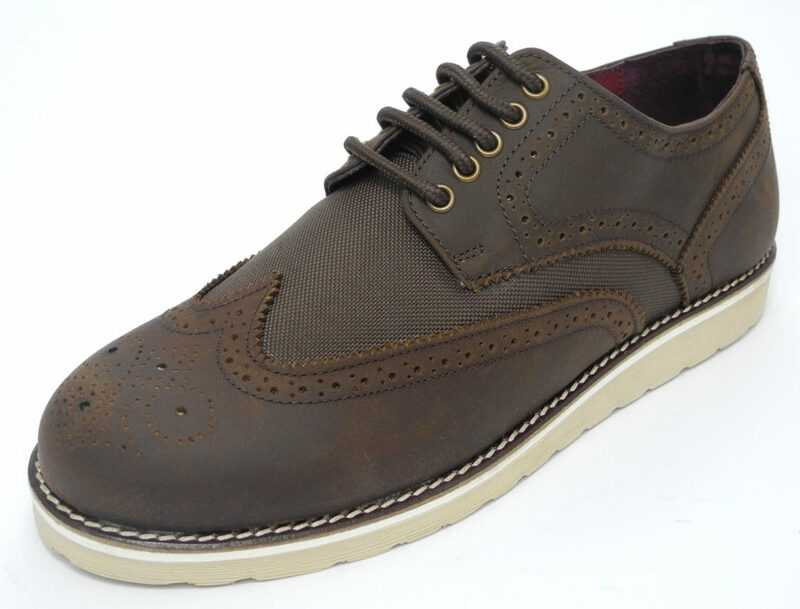 Many people are familiar with flat sole shoes. One of the most popular brands are Converse, or lovingly known as “Chucks” by many people. While these shoes are not the best idea for running, they make for great squatting shoes because of their non-compressing rubber soles. These soles will not compress or drop during squats, which happens upwards of 20 mm with some running shoes. People who have limited ankle mobility will not find any help from these shoes, even if people opt to go with the high tops. They do work for a variety of squats, even for the low-bar back squat. 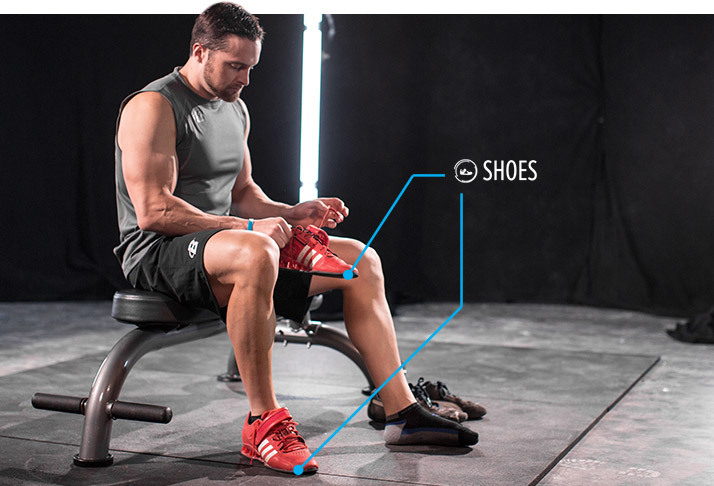 Wearers of these shoes can manipulate the joint torque production during their squats. People also do not set their hips as far forward in these shoes, which provides a lot of back protection during certain squats. For people who want a cheaper alternative to the weightlifting shoes, they should seriously consider going with a pair of Converse instead. The price difference is more than worth the consideration. Nike released the first cross training show in 1987 with the Air Trainer I. This shoe rocked the industry. They are mostly associated with CrossFit type training, but they are still worth considering for squats alone because they have a minimal heel drop. In most cases, the heel drop for these shoes ranks around three to four millimeters. Not much research exists behind how beneficial these shoes are, but much anecdotal evidence suffices for the time being. It also makes for a great running shoe, which means people can use it for almost anything in the gym without much problem. There are a few shoe types to pick between when it comes to performing squats. Some shoes are far better than other models, and types that resemble running shoes should be avoided altogether. However, people can go with alternatives like the flat sole shoe and cross trainer shoes if they want an all-around shoe to wear in the gym, especially if the price of weightlifting shoes is a little off putting for solely one type of exercise.